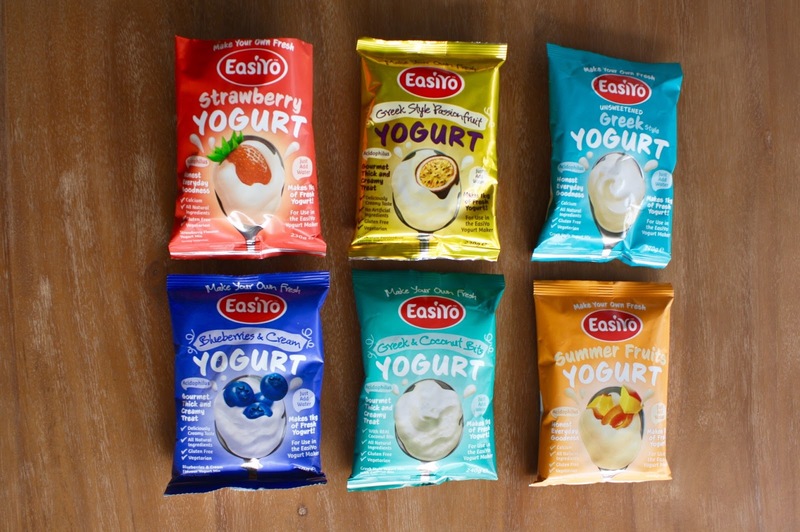 Peachy Keen Mumma: Yo, yo, yo - It's So Easy to Make Your Own Yoghurt! 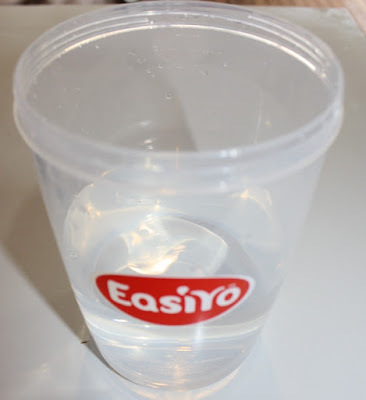 I have made my own yoghurt in the past. 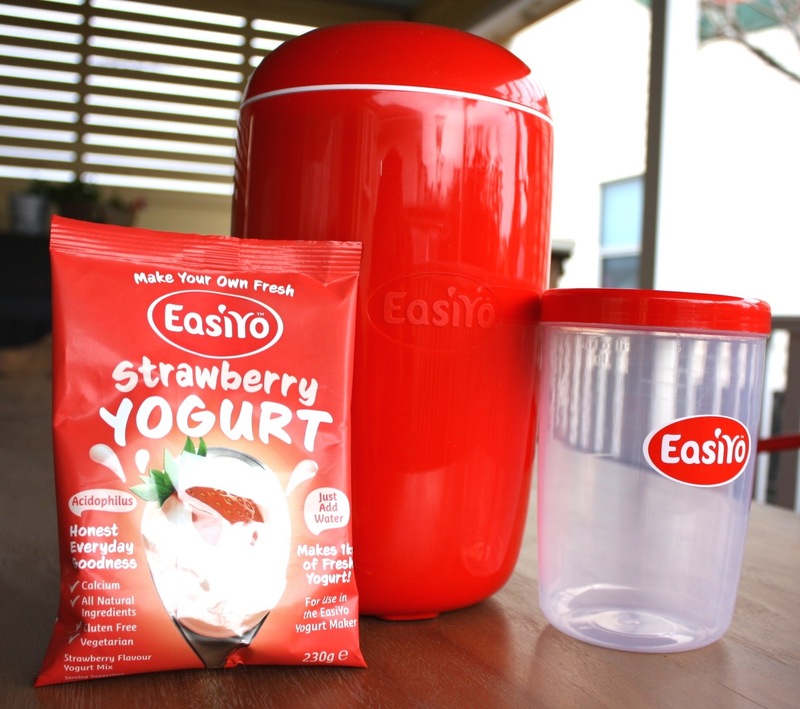 But what I really liked about this EasiYo yoghurt maker was the colour and retro design. Plus it's easy to clean too. Unlike my old yoghurt maker the container for this one did not come with a rubber seal. I love that because it was a bit annoying and time consuming to take the seal out each time I needed to wash out the old yoghurt container. The EasiYo just has a screw on lid. Done! 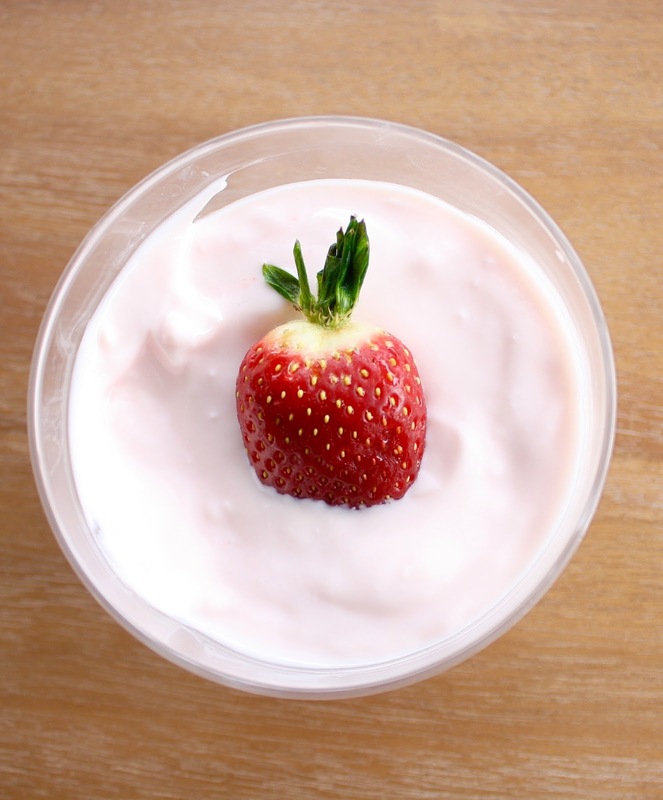 Let me show you how ridiculously easy it is to make good for you - yoghurt at home. Prepare for jaw dropping amazement, people. HA! 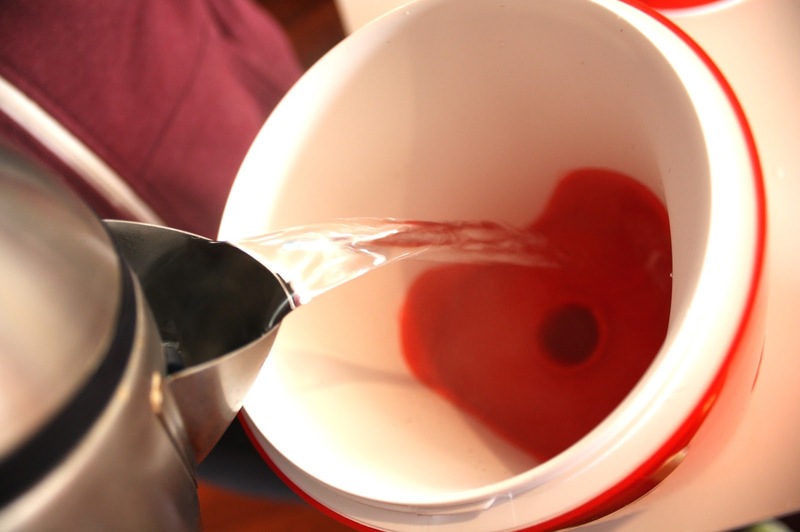 Step 1 - Fill container half-way with tepid water (Golly, that was tough)! 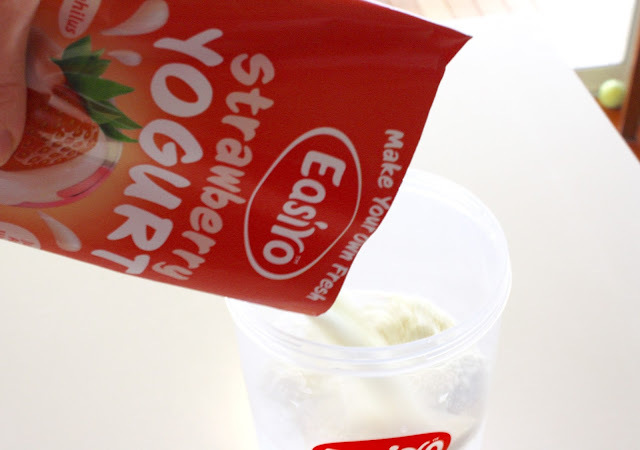 Step 2 - Add whole packet of yoghurt sachet to yoghurt container. (Are you sweating yet)? Step 3 - Return lid and shake until all mixed. Add remaining water to fill line, and shake once more. (Falling into a heap of exhaustion)? 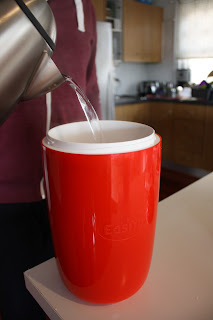 Step 4 - Fill EasiYo Maker with Boiling water to the recommended line within (My arms are aching)! Step 5 - Put the lid on the EasiYo maker and leave for a minimum of 8 hours. Remove yoghurt container and store in fridge. I found that the yoghurt sets a bit more once its been in the fridge for a little while. Ta- da! Strawberry yoghurt done, and with all natural ingredients and no extra crap in there, like artificial flavours or stabilisers. You can tell from my photo that there's none of that fake red colouring used in it either. If you look closely you can also see the billions of live-cultures that give you that healthy gut you've always wanted! I've had a gut-full myself. Ever stuck on what to feed a vegetarian or gluten free friend? I've been there. This is a great option. Completely meat-less and wheat-less, but still a treat, none-the-less. You know I'm a dork about rhyming, right? To toast your own coconut just put in a dry pan on medium heat, and move around in the pan until golden. My favourite flavour has to be this Greek Coconut. The flavour is so nice and isn't overwhelmingly coco-nutty either. 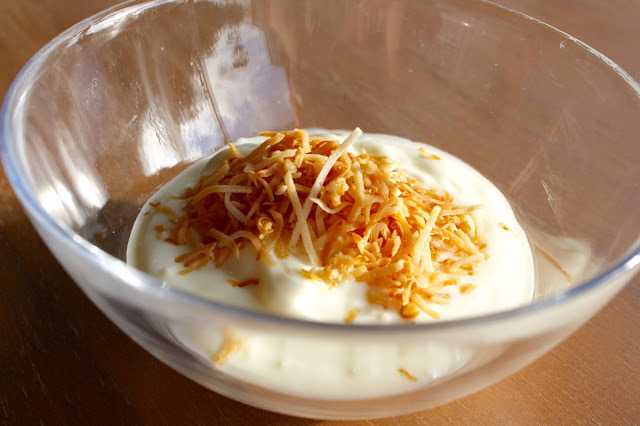 My husband loved that I added the shredded toasted coconut to it. I let this yoghurt sit in the maker overnight for a total of 16 hours so that it would be extra thick and creamy. The longer you leave the yoghurt in the maker the thicker it gets. I love having the power over my yoghurt thickness - muhahaha! On nights where I'm too tired to run to the shops I like the convenience of having these yoghurt packets in my pantry to just shake up some yoghurt for my son's morning tea the next day. I never knew how much yoghurt one tiny human could consume until I had one. I'd grab mine from Woolies or Big W but you can also find them (and the yoghurt maker) at IGA or online. I love this! 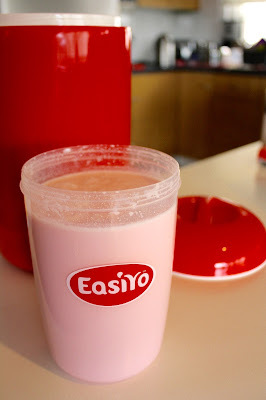 I've seen the Easi-yo stuff before but have never tried it! I really should because we eat a HUGE amount of yoghurt!! @Lucy @ Bake Play Smile I forgot I made some last night. HA! Just popped it in the fridge. 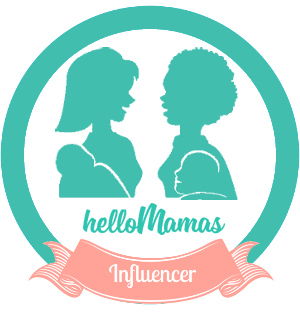 I can't believe we are on our 3rd kilo already!